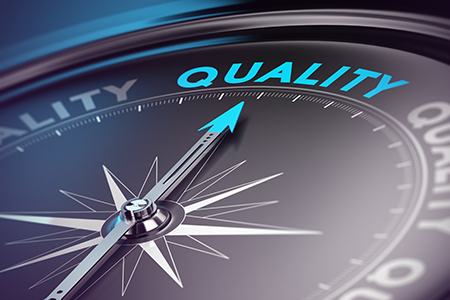 Quality and reproducibility are the focus of much scientific literature, reviews, and commentaries. Knowledge cannot advance without confidence in the reproducibility of our research. If you work in a laboratory animal facility or use animal models in your research, you know proper training is imperative to quality, reproducibility, and success. Yet, there is no single source of information, regulations, or training materials we can turn to. The resources are out there, but many researchers don't know where to find them, or which can be considered authoritative. With this guide, we set out to assemble the most relevant resources for setting up or improving your research animal laboratory. In preparing this guide, we felt fortunate to be in an industry that is well-supported by caring, intelligent people. Sharing is a hallmark of the life sciences community, and people are very willing to share their knowledge and resources, wherever possible. Creating this guide would not be possible without the tireless contributions of the organizations and individuals mentioned within. We present it with thanks for their contributions to advancing the welfare and application of animal research models. Accreditation can help shape and build a well-rounded laboratory animal program. In maintaining or working towards accreditation, you will improve your laboratory animal program. AAALAC International is the main accreditation organization for our industry. They are "a private, nonprofit organization that promotes the humane treatment of animals in science through voluntary accreditation and assessment programs." Another type of accreditation is certification for your employees. Two such organizations offering relevant certifications are AALAS in the US and FELASA in Europe. The American Association for Laboratory Animal Science (AALAS) has a certification program that "sets professional standards for the advancement of laboratory animal science. This program was developed to recognize professional achievement and provide an authoritative endorsement of a technician's level of knowledge in laboratory animal technology." In Europe, the Federation of European Laboratory Animal Science Associations (FELASA) provides accreditation for education and training for laboratory animal personnel, as well as for health monitoring and testing laboratory programs. These two organizations hold annual conferences, bringing people together for learning and sharing opportunities. Finding a training program or module that suits your institutional program and the research you conduct is integral for success beyond accreditation. Many departments of laboratory animal resources at academic institutions host training websites and offer supporting courses. Institutional training programs are tailored specifically to the institution's programs and goals. AALAS has a webpage that includes courses and links out to other training resources. One advantage of training with AALAS materials is the direct link to their technician certification program. The US NIH Office of Laboratory Animal Welfare (OLAW) provides training materials geared towards investigators participating in intramural research programs, but which are applicable to those outside NIH as well. They also provide an extensive list of links to sources of further information and educational resources. Have you developed a great training resources? You might want to check out the Laboratory Animal Welfare Training Exchange (LAWTE) site where you can post and share your training material, as well as access training presentations. Don't overlook training for your Institutional Animal Care and Use Committee (IACUC). A well-trained IACUC is vital to success. Visit the AALAS IACUC Central webpage for IACUC publications, training materials, and courses. Public Responsibility in Medicine & Research (PRIM&R), hosts an annual conference providing training and up-to-date resources for IACUC members. PRIM&R also offers many short courses. For European training courses, Norecopa, Norway's 3R center, provides a comprehensive list, including FELASA accredited courses and online training for veterinarians. Many industry vendors also provide training. This can be in the form of live or recorded webinars as well as in-person courses. Check out their websites for more information. Compliance is the minimal requirement needed to assure animal welfare. When viewed in this manner, compliance is foundational to your program and a stepping stone to achievement. The first stop in understanding compliance is reading "The Guide" and then applying its principles to your program. Published by the National Academy of Science Institute for Laboratory Animal Research (ILAR), The Guide for the Use and Care of Laboratory Animals provides the guidelines needed to assure proper care and welfare for laboratory animals. The USDA Animal Welfare website and the NIH Office of Laboratory Animal Welfare website both provide important resources that will help with understanding and achieving compliance and welfare. If you are based in Europe, you will be working within the frames of the EU directive on the protection of animals used for scientific purposes. The European Commission makes resources on animal welfare and national statistical data available to the public. The requirements of your research program will define the health standard needed for your animal facility. You must also expect investigator-driven exchange of animal models. Understanding the health of research animals you will import is an important step in preventing unwanted organisms from entering your facility. FELASA has developed guidelines and recommendations for health testing that, if followed, will provide detailed diagnostic information on the health of your colonies and of any animals investigators hope to import. The number of available genetically engineered animal models (GEMs) is mind boggling. The rate at which GEMs are developed has grown dramatically with the advent of CRISPR technology. It is now possible to generate GEMs at low cost, adding to the already complicated landscape of GEMs in your facility. It is important to understand the technology used in the generation of models, as that can have profound influence on genotyping, breeding, and even phenotype. There are many online resources available to help you navigate genetically engineered models. A mouse genetics tutorial can be found on the Introduction to Mouse Genetics pages on the Mouse Genome Informatics (MGI) website. MGI "is the international database resource for the laboratory mouse, providing integrated genetic, genomic, and biological data to facilitate the study of human health and disease." If you are looking for information on genetically engineered models that are already generated, a good place to start is the International Mouse Strain Resource (IMSR). It is a "searchable online database of mouse strains, stocks, and mutant ES cell lines available worldwide, including inbred, mutant, and genetically engineered strains." Another great resource is the Alliance of Genome Resources with a mission "to develop and maintain sustainable genome information resources that facilitate the use of diverse model organisms in understanding the genetic and genomic basis of human biology, health and disease." Given the collaborative nature of scientific investigation, you will need to ship models from your laboratory to collaborators in other facilities. While most model vendors work with experienced animal transportation companies that have environmentally controlled vehicles, that option may not be available to you. The transportation of live research animals is complicated. Complexity rises further with the need to transport across international borders. FELASA recommends a harmonized health reporting format for international shipments. Before shipping any live laboratory animals, visit the International Air Transportation Association (IATA) website and view their live animal transport page. Here you will find worldwide standards for shipping live animals via commercial airlines. The United States Department of Agriculture (USDA) also has a page on transportation of research animals. Furthermore, on the European Commission's webpages, you will find rules for the transportation of animals as stipulated by the European Council and related resources. Follow the hyperlink for each to read more and learn how to sign up. Listing all published books and articles on laboratory animals would be impossible, but there are a few resources that you may find beneficial. Lab Animal Magazine is a Nature publication focusing on the care and use of animals for research. Animal Lab News focuses on laboratory animal facilities and tools used in lab animal research. AALAS has three periodicals available. They range from supporting laboratory animal technicians, to publishing peer-reviewed articles about the use of laboratory animals. Quality and reproducibility are values we should all seek to improve. By working together to that end, we can reinforce trust in the results of animal model research throughout the life sciences community.